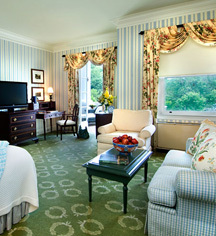 Affording authentic Southern hospitality, accommodations at The Omni Homestead Resort reflect an elegant charm that have welcomed guests since the early 18th century. Beautifully-appointed, the 483 distinctive guestrooms and suites are furnished with modern amenities without compromising its classic feel. 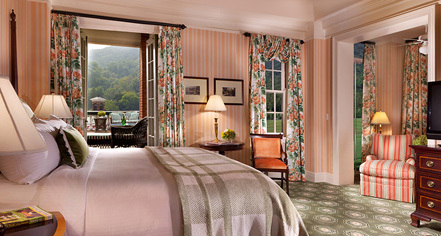 From classic layouts to the President's Suite, accommodations at The Omni Homestead Resort truly represent and complement the gracious landscape of Hot Springs, Virginia with rich fabrics and furnishings and where down pillows and feather beds ensure a superb night’s sleep. Hand-selected to highlight the region's vibrant history, artwork and fixings adorn throughout the hotel and guestrooms to complement the Southern style.